Mobile World Congress Booth N2.C40 — The SD Association announced today SD Express which adds the popular PCI Express® and NVMe™ interfaces to the legacy SD interface. The PCIe interface delivering a 985 megabytes per second (MB/s) maximum data transfer rate and the NVMe upper layer protocol enables advanced memory access mechanism, enabling a new world of opportunities for the popular SD memory card. 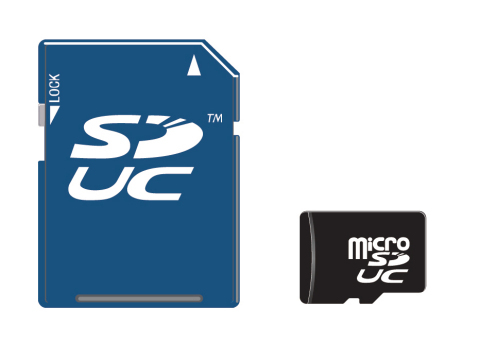 In addition, the maximum storage capacity in SD memory cards grows from 2TB with SDXC to 128 TB with the new SD Ultra Capacity (SDUC) card. These innovations maintain the SDA’s commitment to backward compatibility and are part of the new SD 7.0 specification. NVMe™ - NVM Express™, is a standard developed by NVM Express Inc. and NVMe™ is a trademark owned by NVM Express Inc.